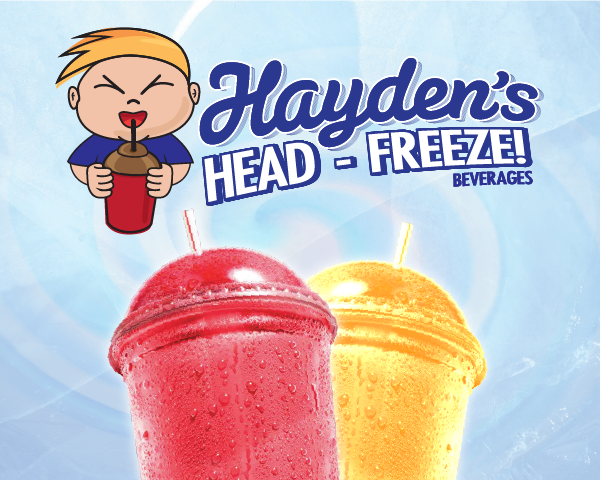 Hayden’s Head Freeze was designed for Southco Distribution Co. for one of their convenience store markets. Once they came up with the name then Hayden needed a face and branding for their smoothies and frozen beverage program. They wanted a chubby, blonde boy drinking a frozen drink. Once Hayden came to life then came the custom designed menu board.